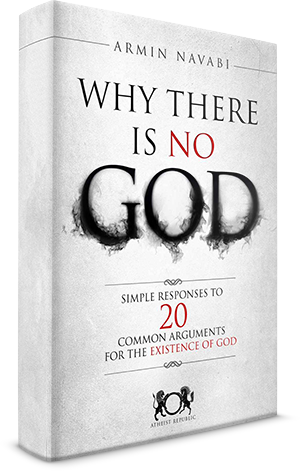 Not only is atheism not a religion, it is not even a form of religious belief. To declare it so, one would have to brand not playing golf as type of sport. 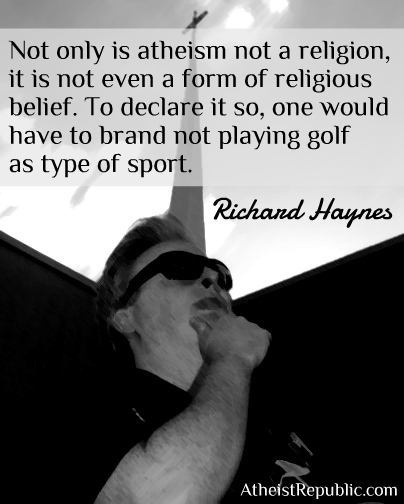 LOL I like that statement, As an atheist you come across the problem Richard Haynes addresses here quite often. Theist are always trying to pin atheist as a group of people belonging to a religion. 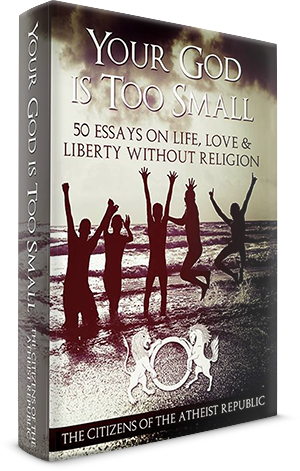 As atheist we all have one thing in common that when approached by you as a theist we can say with certainty that universally applies to all of us is that we don't believe in your or anybody else's god. we have no creed no universal agreement on what we are we don't have gathering and indoctrination, anybody who is an atheist simply is there is no special way to get in the club. We have no rules universally believe to be true by atheist that we all feel we need to live by or some entity all atheist believe in will come punish us. Unlike thiest who believe in their gods we don't. Like a theist is a theist for believing in their god and so is an Aztec for believing in their god we are simply atheist for having no god. Is a Christian referred to as an Aztec because they both believe in a god? Well then we're not religious and therefore have no religion no gods and offer no reason for any theist to assume otherwise. The things we do agree on however come about by sheer coincidence or if you don't believe in coincidence, chance and circumstance.